Calibrated Lighting - Cortech Solutions, Inc. 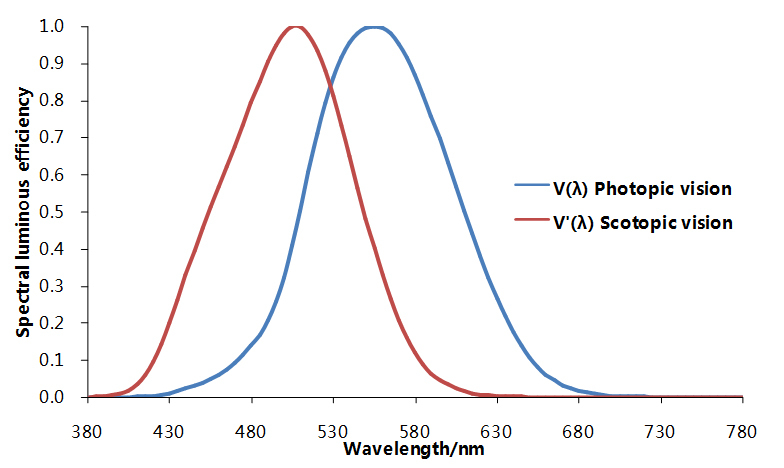 The Spectral Power Distribution (SPD) of traditional light source is fixed, as shown below at left, and only the light intensity can be adjusted. 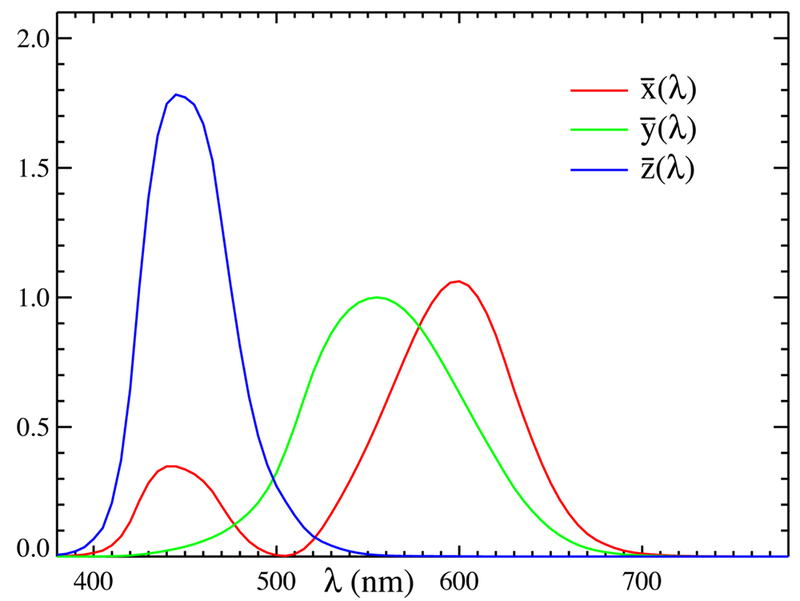 Based on the narrow band properties of LED, the target SPD can be simulated, as shown below at right, by mixing a set of LEDs with different peak wavelength. 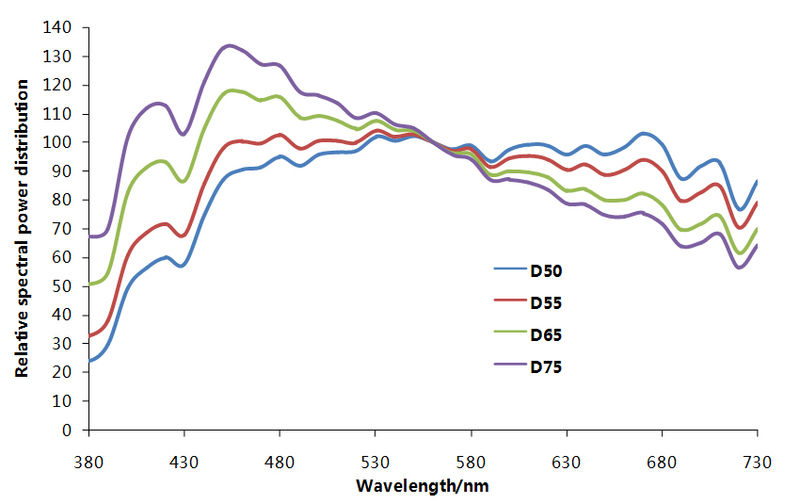 The SPD is the core data to calculate light quality parameters. 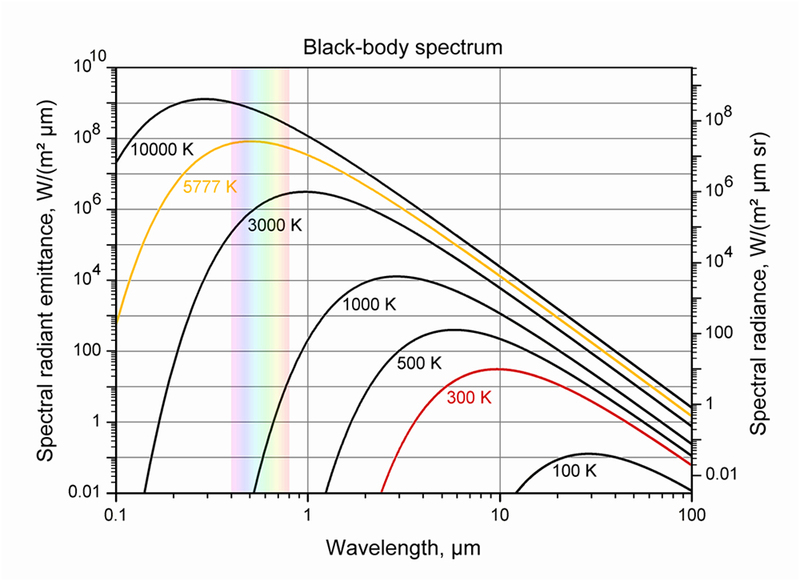 If the SPD of one light source is accurately simulated, it means the corresponding color temperature, color rendering properties, chromaticity coordinates, S/P values, etc, are all reproduced. This is a core element of the Thouslite product line. 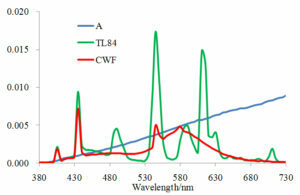 The SPD of tungsten lamp, tri-band fluorescent, cool white fluorescent. 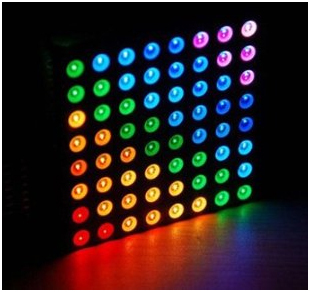 In order to achieve excellent tunable properties, the selection of LEDs to be combined was the first problem to be solved. A good LED combination guarantees high quality light output to satisfy different application requirements. Thouslite has a library of more than 100 color and white LEDs with different peak wavelengths, ranging from ultra violet, visible to near-infrared. 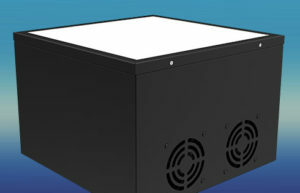 As a result, Thouslite can select LED combinations to suit different applications. 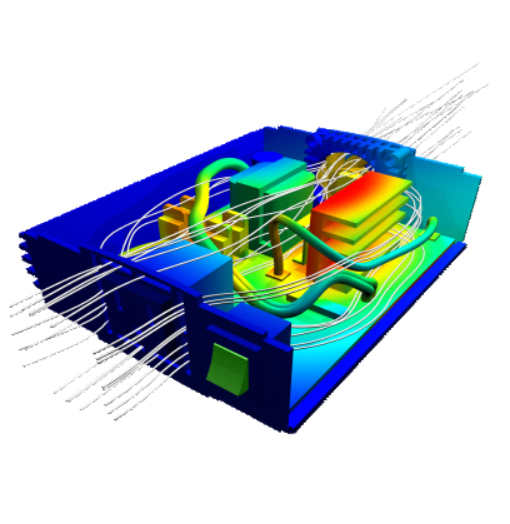 In order to achieve excellent tunable property, the good heat management and electrical design guarantee the good and stable light output. 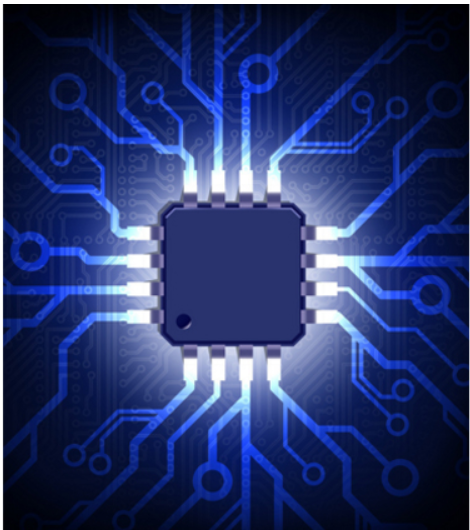 THOUSLITE is experienced in LED heat management, LED electrical design, LED IC driver design, etc. 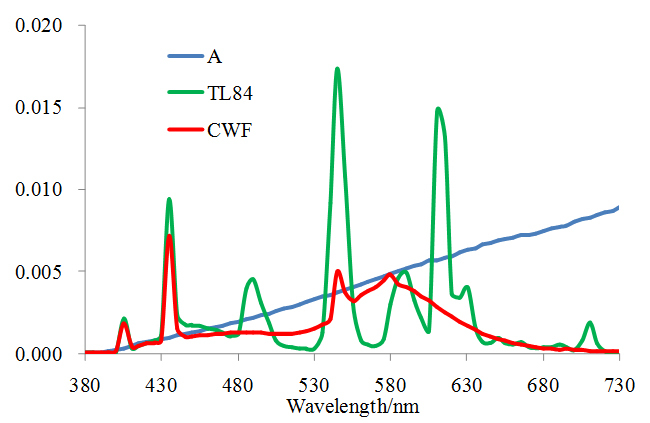 Light quality parameters are important in evaluating the quality of a light source, and typical parameters include color temperature, color rendering index, illuminance, glare index, uniformity, S/P value, etc. 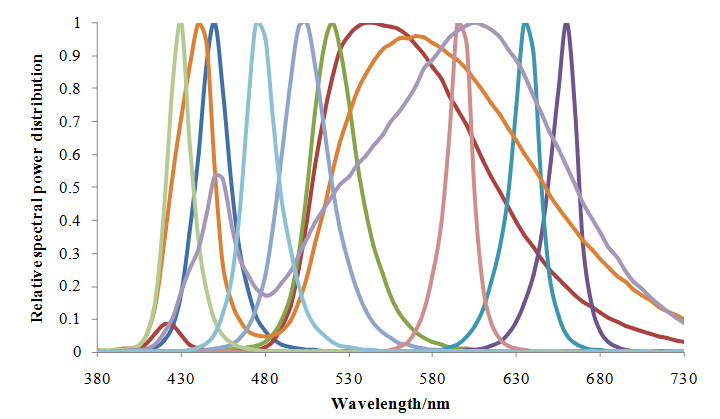 Thouslite is proficient in the theory, calculation, international standards, colorimetry, photometry, and color measurement of all of these light quality parameters. Further, Thouslite has the capability to customize parameters for different applications, such as special object color rendering index, museum lighting comfort index, etc. 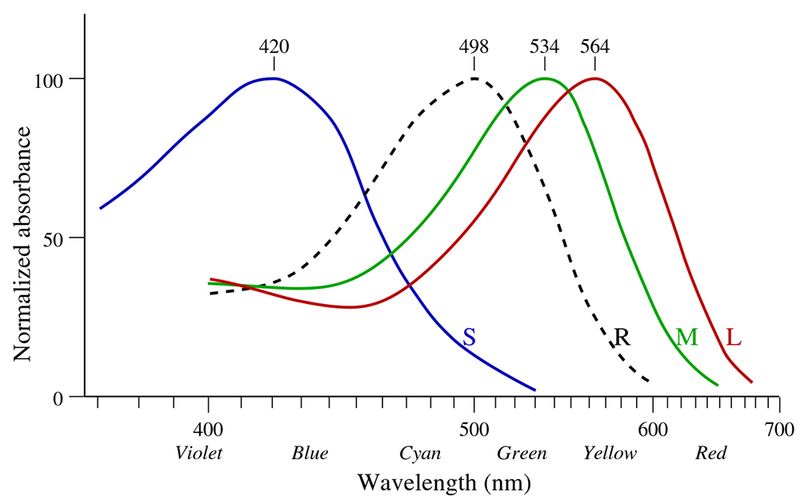 Light, object and observer are the three fundamental elements to generate human color vision. 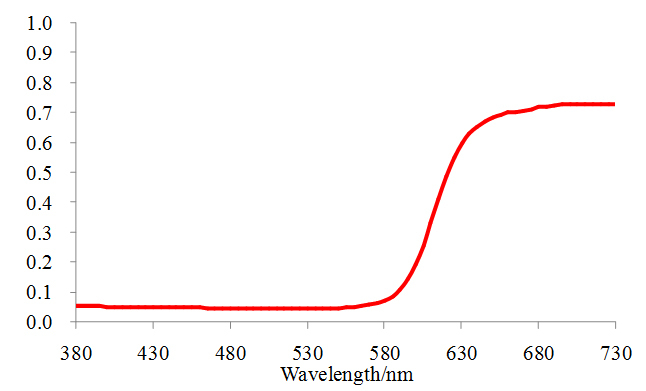 Light source is a significant factor affecting the perceived color. 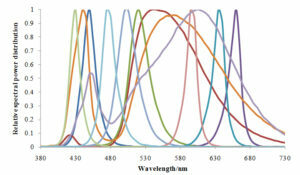 The color appearance of the same object will be different under different light sources. 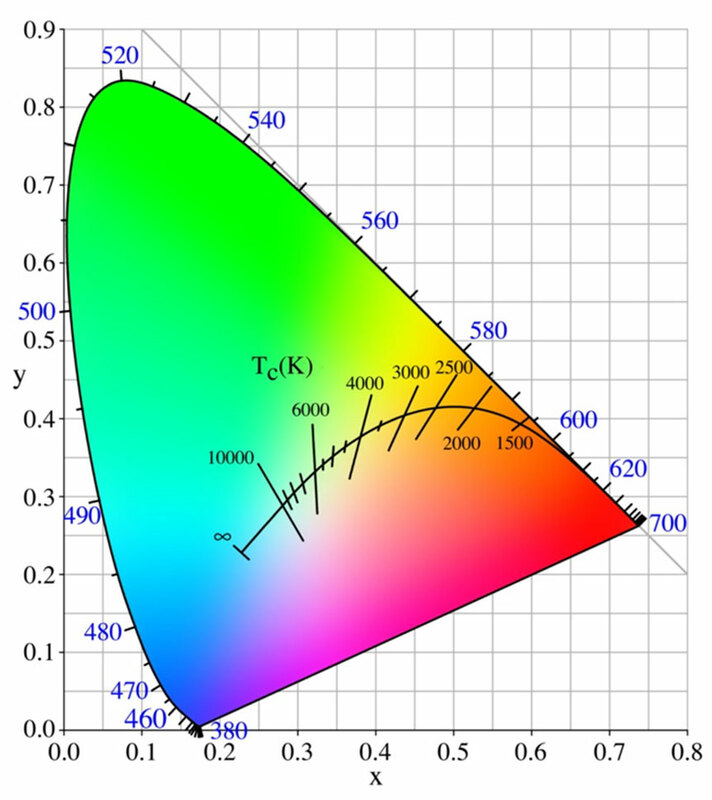 Thouslite is proficient in light, object, and color vision theory, including the light source spectral power distribution, object spectral reflectance and corresponding CIEXYZ & CIELAB parameters, human eye response curve etc. Meanwhile, Thouslite has the capability to apply color management technologies in different applications.